Police have issued a warning following spate of keyless vehicle thefts in Cleveland. 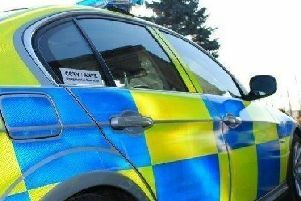 Police are warning drivers to be vigilant after a spate of keyless vehicle thefts in the Cleveland area. Ninety vehicles have been reportedly stolen since December 2017, resulting in 27 people being arrested in connection with the thefts. Ford Fiestas are the main model to be stolen with the figures mounting up to nearly half, but various other models have also been taken. Each of the cars was reportedly taken with the use of a device which allows security features to be bypassed and the vehicles to be taken without a key/fob. · Review your car security. Consider a good quality steering lock for your vehicle. Look for a model which is ThatchamTM approved. This is a great visual deterrent to a thief. · Contact your dealer and talk about the digital features in your car. Have there been any software updates you can take advantage of? · Check if your keyless entry fob can be turned off. If it can, and your dealer can also confirm this, then do so overnight. · Store your keys in a Secured by Design approved key shield. Keeping your keyless entry fob out of sight is not enough. Consider purchasing a keyless fob blocking bag. · When parking your vehicle consider using a car park with the Safer Parking Award, signified by a blue tick symbol. When returning to your car - be aware of your surroundings and who is hanging around. · Ensure your car is locked, all windows are shut and all valuables are removed before leaving your vehicle unattended. · Be vigilant. Keep an eye out for suspicious activity in your neighbourhood and report anything unusual to Police on 101 (999 in an emergency). Two thirds of the stolen vehicles have now been recovered. Out of the 27 arrests, six of the men arrested were each charged with theft of a motor vehicle, 16 men aged between 15 to 49-years-old have all been released pending investigation and five of the men arrested were released without charge.